Looking for cool, unusual things to do in Phuket, things to do in Phuket for 2 days, 3 days or a week long vacation? My guide to Thailand’s largest island; Phuket. There are plenty of reasons you need to visit this beautiful island and one to many a Phuket experience not to miss out on. Below is my guide on things to do in Phuket, from Phuket tours on the island, things to do in Phuket with family, things to do in Phuket for couples, restaurants, shops, attractions, beaches also best in hotels in Phuket both budget and luxury. You may not be the only one whose name Thailand’s Phuket beaches are calling. Also, check out my three week Thailand itinerary covering Bangkok, Phuket, Chiang Mai, Krabi and Koh Samui. With plenty of things to do in Phuket, from lounging on the beach like a castaway character to exploring the many beautiful diving and snorkeling spot to temples and beautiful island inlets, you will understand why this beautiful island is popular when you visit. 6 How To Get From Phuket Airport To Patong Beach, Karon Beach or Phuket Town. To give you inspiration for your Phuket Itinerary planning below are 10 things to do in Phuket, including tips on Phuket nightlife, day and night markets in Phuket, exploring Phuket Old Town, where to stay and how to get around on the island. With some of Thailand’s best beaches in Phuket, it’s easy to see why people fall so hard for Phuket. I fell madly in love with the island and had trouble thinking about packing my bags to head back home. 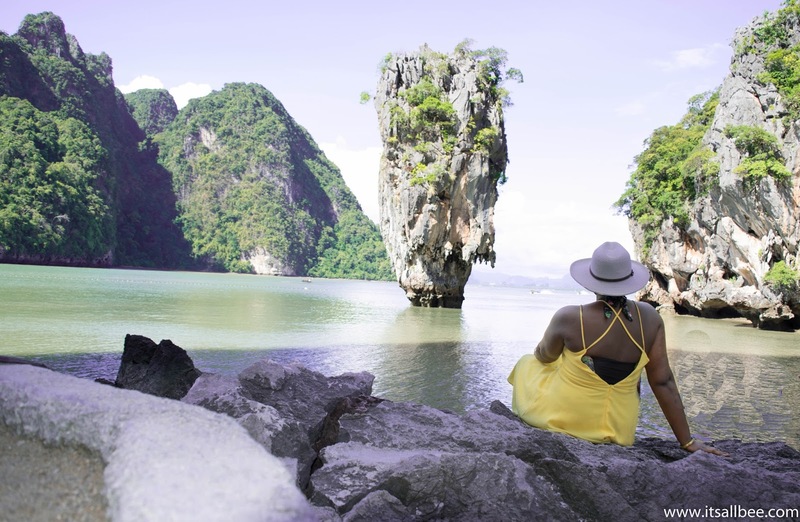 I have no doubt I will be heading back to Thailand someday but in the meantime, I thought I would let you in on the amazing adventures waiting for you in Phuket. You can check out more of my adventures in Thailand on the blog. If you are heading to Phuket below are 10 experience in Phuket not to miss out on, from things to do in Phuket at night, with family, for couple and with details of where we stayed on the island and the tours we took to help you plan your vacation in Thailand’s Phuket. Soft sand riggling between your toes as they disappear into clear crystal water that turns blue as your head rises from your feet into the horizon. This is truly a magical place. Tours here usually offload tourist in droves which would make any place lose its luster but not this place! If you want a peaceful and quiet experience or looking for things to do in Phuket for couples as you explore the islands, you also do have the option to have a private rental boat. This works out more cost effective if you are in a couple or small group to share the cost and you can stop at the popular stop before or after the tours leave with the crowds. Either way, a tour to Phi Phi island is a must. You can book some of the tours in Phuket in advance. This is Phuket’s most important landmarks. A 45-meter tall Phuket Big Buddha statue which can be seen from miles away sits atop of the Nakkered Hills. Visiting Big Buddha has another plus to it, the 360-degree views of the islands and its beaches can all be seen from the hill. From here you get a stunning view on three large bays. Directly in front of the Big Buddha is Chalong Bay. On clear days you can see all the way to Phang Nga Bay. To the west of Big Buddha, you’ll get a nice view on Kata Bay and Kata Noi Bay. The best spot to see the third bay is actually to stop at the restaurant on the way up. From up there you can also get a great view of Karon Beach. Big Buddha is located in Chalong, the site is open from 8.30am to 7.30pm. For tours that take you to Big Buddha and many other spots in Phuket click here. For more details on how to find the statue and dress code when visiting Big Buddha check one Phuket Net. James Bond location scouts have made this into a star that would rival Bond himself(would that be Roger Moore as Bond). 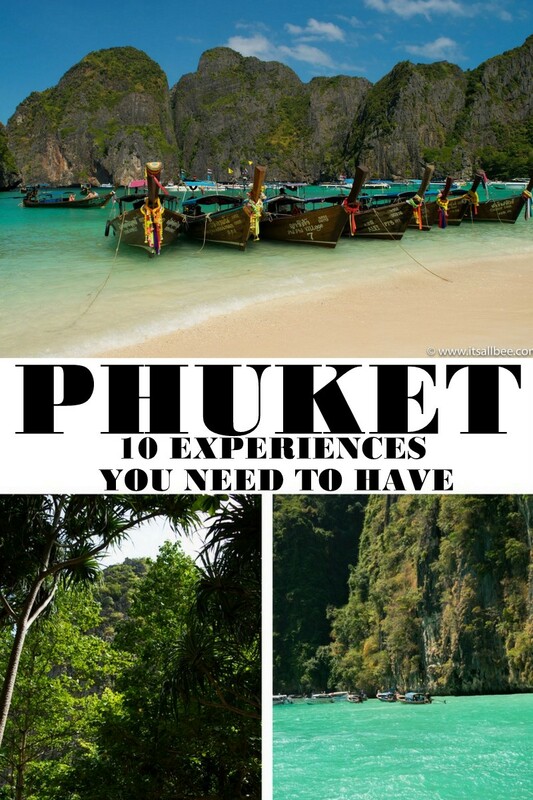 This is one Phuket experience that is an absolute must do. This tour also takes yours around the hongs. You can have the day tours that make a couple of stops with your guided tour of the hongs on an inflatable rowboat or you also have tours here that include a day and night visit to the hongs. You can read more on my tour to Phang Nga Bay. If you are looking for cool and unusual things to do in Phuket beyond beach activities then check out Fantasea is Phuket’s Cultural theme park. It showcases Thai heritage in an evening of dining with entertainment on a 60-acre carnival village. It is also the island’s most extravagant shows. The carnival’s village included stalls where jewellery, Thai silk products, and other goods are sold but once settled into on of the 4000-seat buffet restaurant, you are in for a night of stage acrobatics, dancing, illusions and stunts bringing Thailand’s legends in a 70-minute show. Tickets to FantaSea are around £40/$50. Visiting Phuket’s best beaches is a breeze as most if not all are absolutely stunning. Phuket beaches offer amazing scenery withing pickings from quiet beaches ones to the lively beaches with party-hardy types like Patong Beach, a Phuket beach you want to add to your list and a pretty popular one too. Patong Beach is one of the busiest beaches in Phuket with 2.5 km of coastline. Patong Beach is the home of huge number of hotels, restaurants, bars, clubs, and attractions. Its one of the best places in Phuket to visit for the nightlife. 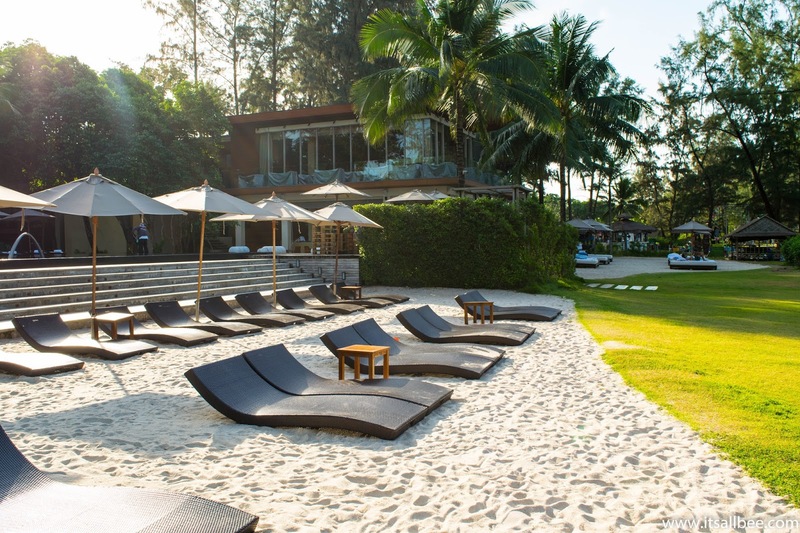 One of favorites is Mai Khao Beach where Renaissance is located. If you want a good party then party, then Patong is where people come out to play. There are hundreds of restaurants, bars, nightclubs. For a quieter experience without going too far out, head to Kamala Beach which lies north of the lively Patong and offers a more relaxed feel surrounded by forested hills. For a guide to Phuket’s best beaches and which one to choose from check out YTravel’s post on beaches not to miss. This is another part of the island worth a visit. There many thing to do in Phuket Old Town as this is where you will find old and unique Sino-Portuguese architecture. Check out Thalang, Dibuk, and Krabi Roads. They are lined with beautiful 100-year old shops and houses with oozing with European influences in a style which include British and Portuguese influence who came to the island to stake their claim on the booming tin industry wealth of a century ago. Close by in Phuket’s Old Town towards Yaowarat Rd is where you will find Phuket Old Town a fresh market. Recently the long-standing fresh market was torn down and a two-storey market with a parking underneath has been erected and this location is where many of the traders and market stall owners brought their business during its construction with some staying on. Simply wander around and check out the shops and market, museums without spending too much time thinking about ticking off things to do in Phuket Old Town. You will easily find yourself wondering what life was like when the historical buildings were built, what life was like for the people that lived there as well as the little things like transportations, what people would wear in Phuket, the whole area is just fascinating. Although we didn’t spot any A-lists when we drop nearby, Raya Restaurant is said to be frequented by A-list movie stars, prime ministers, and royalty who come to lap up delicious Thai meals. Looking for things to do in Phuket honeymoon ideas? Then a romantic dinner here needs to be on your list. It is housed in a mansion built in the early 20th century. 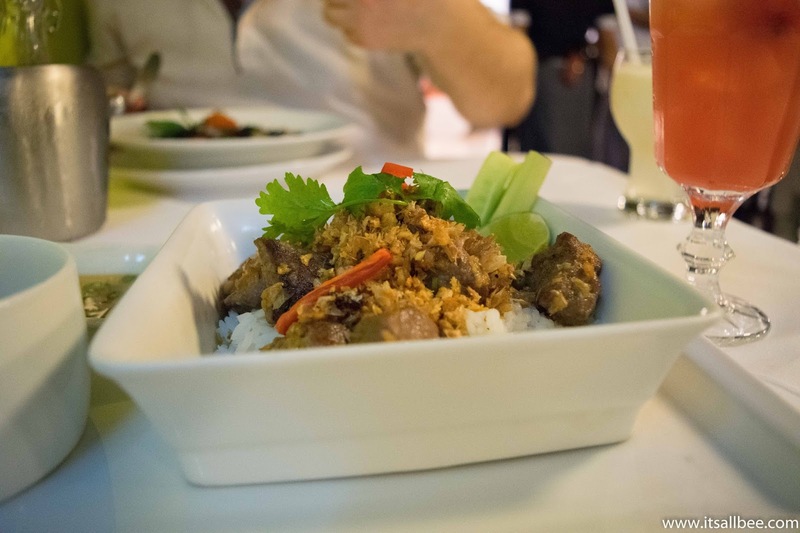 If you like the food you can also sign up for Thai cooking classes. Located on Dibuk Road in Old Phuket Town. Open 10am-10pm. Worth a stop as the food is also reasonably priced. Check out Phuket’s countryside on a bike tour that takes you to less explored parts of the island that take you through fishing villages, rice paddies, unique mosques and natural beauties. The tour included a lunch as well while you cover 30km of land. The tours costs about £40-80 and run for 5-10 hours depending on which itinerary you go for. This is among must things to do in Phuket and actually if you are visiting Asia alltogether. Having been in Cambodia before flying to Thailand I was already a massage addict by the time I arrived in the country. Going cold turkey was not an option so the only option was to continue with this feel-good ritual or spreading yourself in your birthday suit and allowing the Thai ladies take you to heaven. For such a small Island it does have enough markets to keep you busy with bargain hunting. Most open after the heat of the day has passed and closed late in the evening. Check out Phuket Markets. Phuket night market is the largest of all night markets on the island. It’s very popular which means crowds! For something a little less crowded, check out Phuket Walking Street Market which is set in Phuket Old Town, selling handicrafts, clothes, and other apparel. For a local touch check out Ind Market which is local bring their own goods for sale, a little different to professional peddlers. Indy Market is also a lot quiet compared to Weekend Market. Malin Plaza Patong also has a market which is popular for its food stalls. Within the same area is also where you will find Royal Paradise Night Market which is a collection of 100 stalls selling a range of goods from clothes, mobile phones, accessories and many other items. There are plenty of things to do in Phuket with family, from shows like Phuket Fantasea show mentioned above, there are museums geared towards families and kids, water parks, go-karting, ziplining and more. For tours you can do with family check out Viator Tours. Night markets, nightclubs, nightlife in Phuket is plentiful. From bar hopping in Phuket Bangla Road or Soi Bangla to the bustling nightlife on Phuket Patong beach which is one of the main hubs for night time activities in Phuket. So, what does Patong Beach nightlife draw in the crowds? Well, the sheer number of restaurants, clubs and beautiful beaches of course! But, for those visiting Patong Beach or Phuket for the first time, it can be a little intimidating or be overwhelming so read up on what to expect so you can prepare yourself. In addition to all that, you can also have evening shows with Thailand’s lady-boys. For more inspiration on things to do in Phuket at night check out Ithaka’ guide on things to do at night on the island. For a detailed guide on where to stay in Phuket you can check out my post on the best areas to stay in Phuket. There are many places to stay in Phuket. From beachfront resorts to luxury Villas with private pool to budget accommodation that won’t break the bank. We based ourselves in Phuket and sample a couple of places from our stay at Gold Digger’s Resort(cool name huh), Ikon Hotel and Renaissance Beach Hotel, all of which you can read about on the blog. The majority of the hotels are along the eastern part of the island with a variety of options from backpackers budget to big rental homes that would satisfy Brad and Angelina budgets to luxury beach hotels. If you are heading to Phuket and looking for hotels in Phuket click here. There are over 70 cities with flights direct into Phuket’s airport. 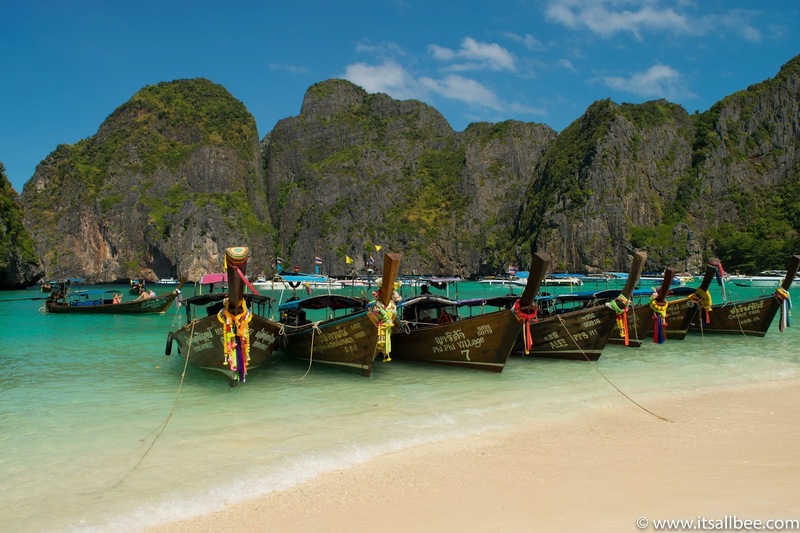 From China, Russia, Germany, Australia to name a few, all have direct flights to Phuket. For others its usually best to arrive in Bangkok and then head to Phuket. We arrived in Bangkok and then took a flight from Bangkok to Phuket on Air Asia which does cheap flights for around £50 return or you can do a single flight for around £20. Check out Kayak for cheap flights around Asia. We managed to fly to Phuket and then from there flew out to Kuala Lumpur for a pretty penny. Air Asia provides a low-cost way to explore Asia without having to spend hours on buses, even though cheap, traveling around when you could be exploring. How To Get From Phuket Airport To Patong Beach, Karon Beach or Phuket Town. A lot of the hotels can help you make arrangements from Phuket Airport to many of the beach resorts and hotels around the island. The route from Phuket airport to Patong is one that is most sort after as its popular for tourist amenities, nightlife and restaurants with the famous Bangla Road and convenience to the airport in addition to Karon beach. We took one of the minibusses from the airport to where we were going to be staying first on the island. The costs around 100-180 Bhat depending on where in Phuket you are going. You can also take a taxi but make sure the driver puts the meter on to avoid being ‘taken for a ride’. Taxis from the Phuket Airport also add another 100 Bhat for the airport fee. You can also hire a car in Phuket but we didn’t find this necessary as for most of the major tours they collect you from your hotel so having a car was unnecessary and for random trips to explore some of the beaches you can easily use the taxis or bus services. I would only recommend a car rental in Phuket if you are staying for a long period and want to explore as much of the Island as possible getting to parts with poor transport options. So, have you been to the island? Which one of the things to do in Phuket Thailand have you done or will be adding to your Thailand adventures? I missed visiting Phuket during my trip to Thailand. I am heading back to Thailand in September next year with family. Can you recommend some activities or things to do in Phuket with family? Any specific things or events during that month, you can think of, again any tips on things to do in Phuket Thailand in September would be awesome. Thanks so much. Hi Shannon, many of the above ideas can certainly be done with family. As far as specific events in September. I cant say I know of any specific ones. Please check the Thailand tourism board site for details. Thank for a detailed view of experience in Phuket. Just wanted to ask if you think we would be able to do much of the above in a short visit? We are looking for things to do in Phuket in 2 days or even 3 days as we are still making the final plans for our trip to Thailand. 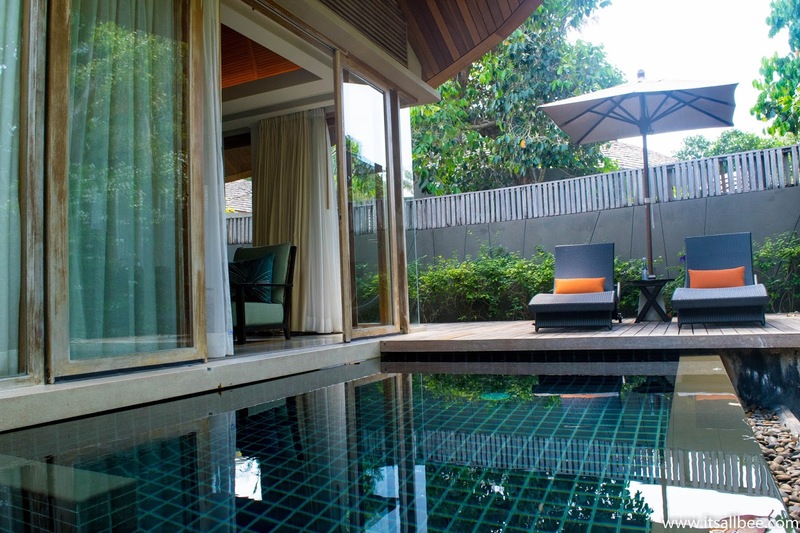 We only have a short visit and looking to make the most of our stay in Phuket. Thanks! You can definitely do a day of island hopping and then maybe a day doing the old town, temples in the morning and afternoon and evening in Patong? Its a short visit to Patong so you cannot do a lot of things. Hope that helps. We have a trip coming up when we are visiting Thailand in December and one of our stops will be to visit Phuket and Krabi. We love your post so much but wanted to ask if you can recommend any unusual things to do in Phuket during our stay. Whether that is a show, an adventure tour, we would love any travel tips for Phuket that you can offer. Thank so much! Fantasia show definitely comes to mind, as well as the unusually activities on Patong Beach. Check those out in addition to the ideas above. Hi Bee, we are so looking forward to our Thailand trip having come across your post on Phuket. I love your photos too. I believe we may be staying in Patong. Just wanted to ask about things to do in Phuket Patong? Any particular things to do in Phuket at night that you can recommend. Any clubs or bars that you know of? Patong is definitely a lively places to visit in Phuket and has something for everyone so I am sure you will enjoy the time there. I cant say there was any particular club that stood out for me that I can recommend but definitely dont visit the island without check out all the unusual things to do in Phuket’s Patong. We are visiting Phuket and Krabi in January. What can you say are the must things to do in Phuket. We are definitely going to make sure we do the tour to Koh Phi Phi if possible. Just wanted to get your take on what must things to see and do in Phuket before we leave for Bangkok. Cool post by the way. Hi there, we also travelled from Bangkok to Phuket. Many of the must things to do in Phuket are listed above. The island hopping, massages and temples. Also glad you found the post useful. We are going to have only 3 days in Phuket any cool things to do in Phuket old town that you think might be unmissable. Trying to work out what we can reasonably do in Phuket in 3 days also trying to factor in some time to do a day trip from Phuket. Thanks for an awesome post by the way. Three days in Phuket is definitely a great start. You can easily do a day or island hopping, a day to check out markets and temples and maybe a day in the old town exploring on food as well as spending on evening on Patong to enjoy the nightlife. Hope that helps. Hey, we are doing both Phuket and Krabi in July next year. Not sure if you have been to Krabi as well but are you able to give me tips on things to do in Phuket and Krabi? Thanks! 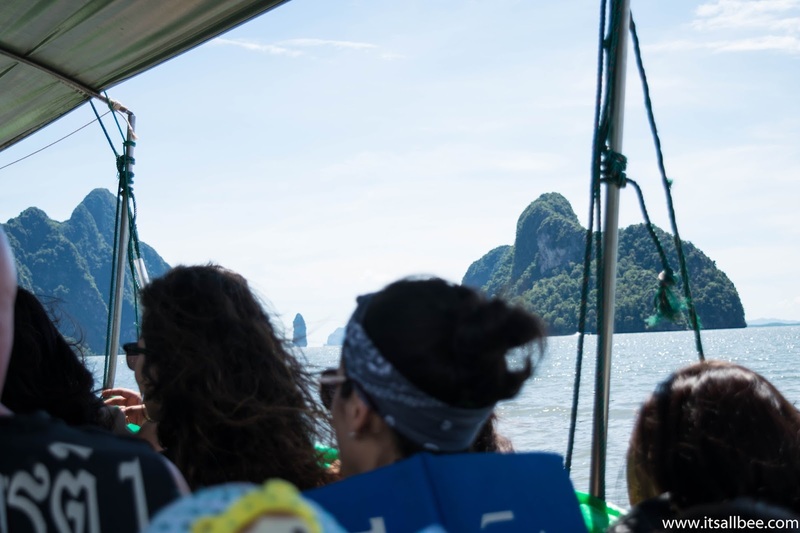 Hi Asana, we only did Phuket but there are plenty of ferries accessible to Krabi making it easy to travel between the two islands. 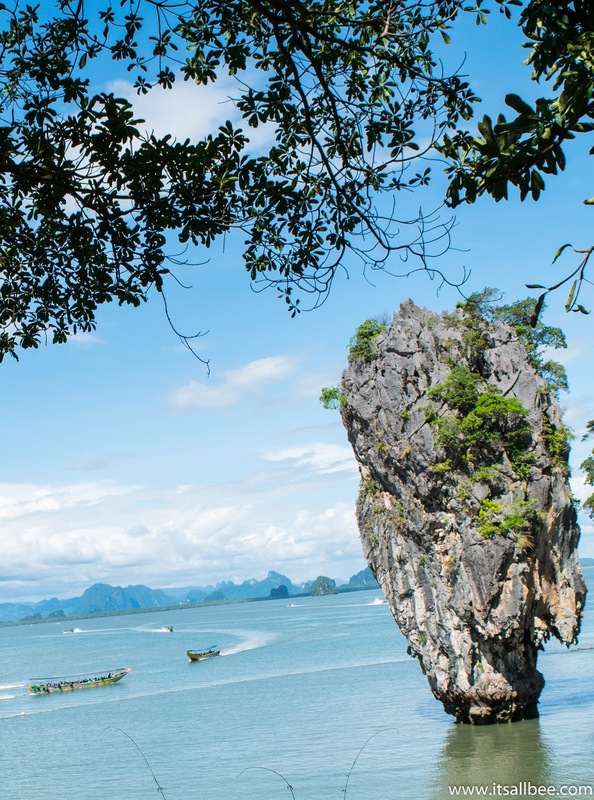 There are plenty of cool things to do in Phuket before heading out to visit Krabi from Phuket. Have a great time. I am sure they will love the island hopping as much as the adults will. Plenty of places and cool things in Instagram for them. Many of the ideas above are well suited to teenagers too. Hi Bee, we have booked a trip to Phuket next year but believe the time we visit to be a bit of a wet season in Thailand. 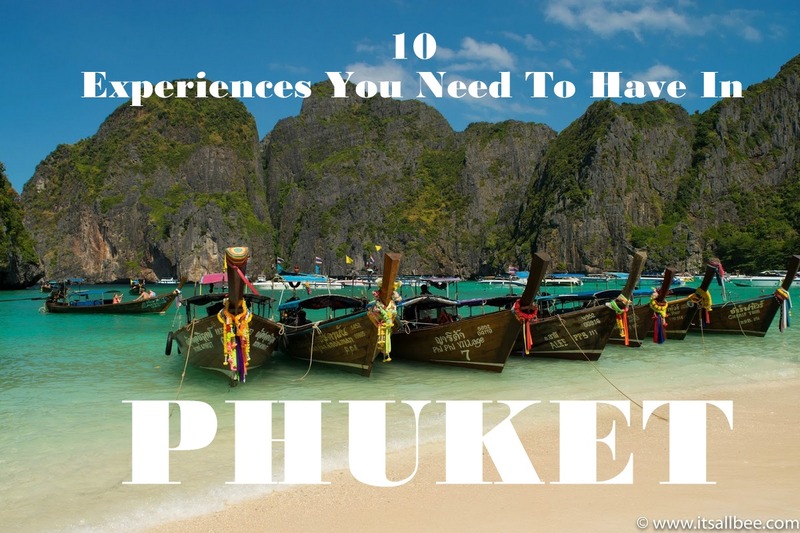 Do you have tips on things to do in Phuket when it rains? We are hoping the weather won’t be too wet and we still get to experience as much of Phuket as possible before we travel from Phuket to Krabi. Hi Suzanne, there are temples, markets, restaurants, bars, shows to check out that are out of the rain so if it rains a lot during your visit there will still be plenty to do. So glad I stumbled on this post. Thank you so much for providing such an inspiring blog. We are visiting Phuket for the first time next summer and wanted to know if you would be able to recommend things to do in Phuket for couples? We are going to be in Phuket for 4 days. Hi, I had a look at your post on where to stay in Phuket. We are looking at hotels in Karon Beach and wanted to check if you are aware of things to do in Phuket’s Karon beach area? I believe one of the places we stayed out last in Phuket was near Karon beach. There are plenty of restaurants, bars and massage places to check out. There is definitely something for everyone. I love your blog! We are heading to Phuket as part of our honeymoon and we are already putting down some of the above activities on our Phuket itinerary. I wanted to ask though as you were visiting Phuket with your boyfriend. Do you know of things to do in Phuket for honeymoon couples? Any romantic things to do in Phuket would be really appreciated. There are plenty of things to do in Phuket honeymoon couples would love. The couple massages, private dinners on the beach, private tours island hopping in all budgets. Many of the hotels can help you make these bookings are they usually have someone on hand to help guests. Also have a look above as I have a couple of ideas especially targeted at couples. All the best. Great blog. I love your pictures! I am always keen to read about where you have been. Phuket has been on my bucket list of things to do. You give me serious travel envy. Phuket island is high on my list of places to visit in Thailand and your pictures make me want to book a holiday but I have to wait another year to same money and see if there is any way I can find budget tours in Phuket or maybe a travel package for Phuket that might include flights and hotel or something. Do you know of any sites with travel deals to Thailand? Hi, Yes it always pays to save some money so you can travel comfortably in your budget. There are many sites to name. I use booking.com for all my hotel bookings. For flights I use google flights and kayak a lot to price check various different airlines. I also check Secretflying for flight deals. I hope that helps. This is a weird question I know but do you know of any offbeat things to do in Phuket. We are looking for new experiences to have in Thailand. We visited Phuket a few years ago, it been a while. I am bringing my partner along this time and just wanted to know if you know if any unusual things to do in Phuket. Any interesting shows, tours in Phuket that are out of the ordinary, or odd things to do in Phuket. That’s what I am after. I have done the majority of the day trips to islands and stuff. Looking to surprise my partner to travels a lot. So keen to have a different experience in Phuket when we visit next time. Hi Cronos, the Fantasia show is pretty cool. There are so many island hopping tours, amazing temples to explore. I am sure you and your partner will enjoy your visit and dont get me started on the stunning beaches! Enjoy. We are going to be doing Bangkok, Phuket, Krabi and Koh Samui this December and wondering about things to do in Phuket at Christmas as well as particular Phuket attractions for adults? I dont normally do holidays away from home during the Christmas period so I am little curious as to what Christmas activities there are in Phuket during the festive period. This is really one of the best times to visit as there are so many unusual things to do in Phuket during this time. A lot of the hotels also make a great effort for guests visiting hotels and the country. I am heading to Phuket as part of a backpacking trip in Thailand next year. I am trying to cut costs on my trip around Asia and wondering if you have tips on fun free things to do in Phuket or things that won’t cost a lot of money, Phuket budget tours you might know of. Also would appreciate any tips you have on any budget accommodation in Phuket. Also roughly would you know the budget for one week in Phuket? Sorry to ask so many questions. Just trying to figure out how much things are likely to cost while I figure out how I am going to be travelling around Phuket and any tours and day trips in Phuket I will do and how much they will cost. Thank you sooo much! Hi, there are plenty of free things to do in Phuket and many that won’t blog the budget. Markets are free, beautiful temples to visit are free. But many of the tours, unavoidably require payment. Hi Bee, any specific things to do in Phuket for bachelors that you can recommend? Oh, its not everyday I am asked that question. There are plenty of clubs, bars and cool and unusual things to do in Phuket, especially in Patong. Plenty of singles there as its hot for nightlife. I would definitely add that to your list as well as do additional research on things to do in Phuket Patong as that is the party central of the island. Hope that helps.